Type III describes the 1980 volcanic eruption of Mount St. Helens, which devastated the natural ecosystem immediately surrounding the blast zone. 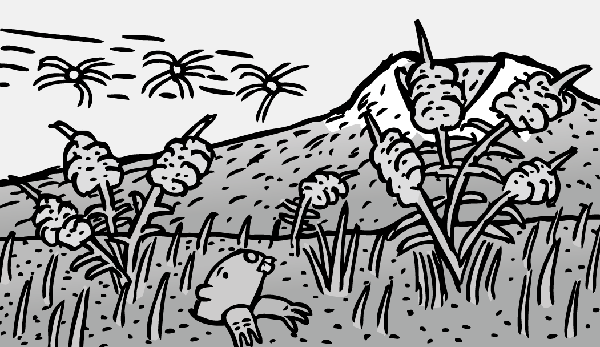 The comic describes the successive types of organisms which helped to recolonise the mountain, ranging from weedy, fast-growing ‘Type I’ species, through to the organisms which constitute the stable, mature ‘Type III’ ecosystem. Parallels are made between the strategies of Type I organisms with current human industrial practices. The reader is left to contemplate whether human industry will evolve to Type III maturity like a stable ecosystem. Type III is about the other story of Mount St. Helens. Usually seen only as an force of destruction, I tried to show the flip side of the coin. 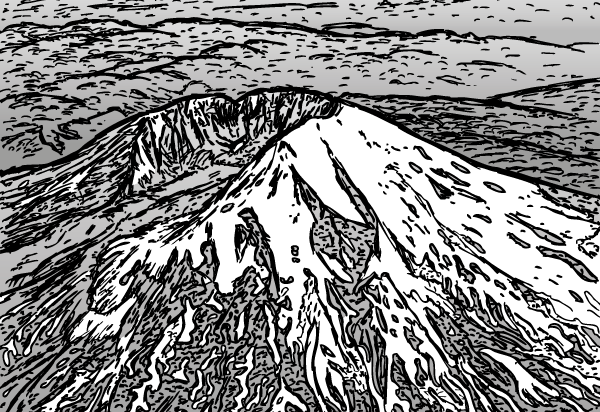 In the comic, I recast the iconic volcano as a shining example of nature’s versatility, creativity and resilience. In a devastated environment, seemingly sterilised beyond hope, life found a way to bounce back. From invisible microbes, to hardy lupins and tunnelling gophers, the work was done on many fronts. Though all acting in self-interest, the organisms’ efforts inadvertently served a common purpose. Over time time the Mount St. Helens landscape transformed in a dynamic process tending toward diversity and stability. Almost poetically, the pioneering lupins and fireweeds were shaded over by shrubs and small trees eager for their time in the sun. More and more, the system folded in on itself, with nutrient recycling, symbiotic relationships and niche specialisations increasing in importance with time. 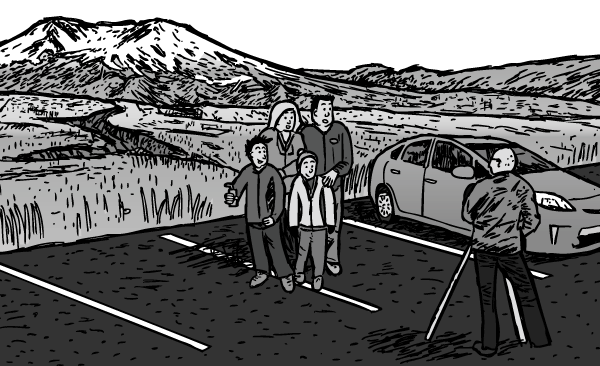 Unlike the human system mentioned in the comic, we have the opportunity to see the future of the Mount St. Helens ecosystem. The eagles, beavers, bears and wolves of woods surrounding the blast zone give a preview of the species destined to spread across when the time is right. Exactly what the human Type III system will resemble remains to be seen. 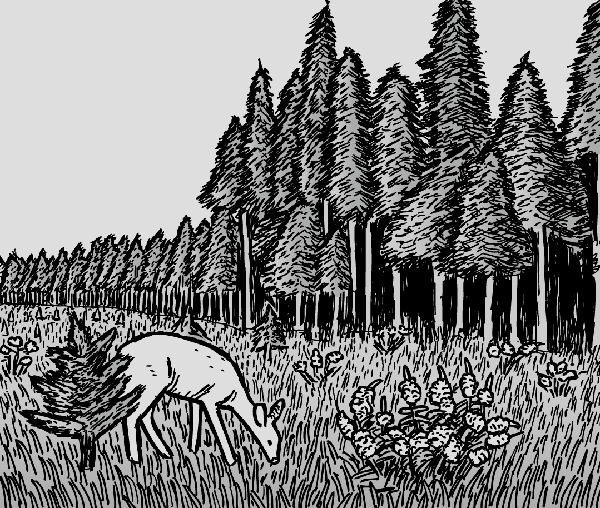 As interesting and picturesque as Mount St. Helens’ story is, Type III was a comic spawned from my interest in industrial ecology systems theory. The Type I, Type II and Type III classification system was heavily inspired by Biomimicry (1997) by Janine Benyus (new / used aff), as well as the textbook Industrial Ecology (1995) by T.E. Graedel and B.E. Allenby, which informed her work. I was lucky enough to have Brad Allenby review early versions of the Type III script, and offer his input into the validity of the comic’s ideas. 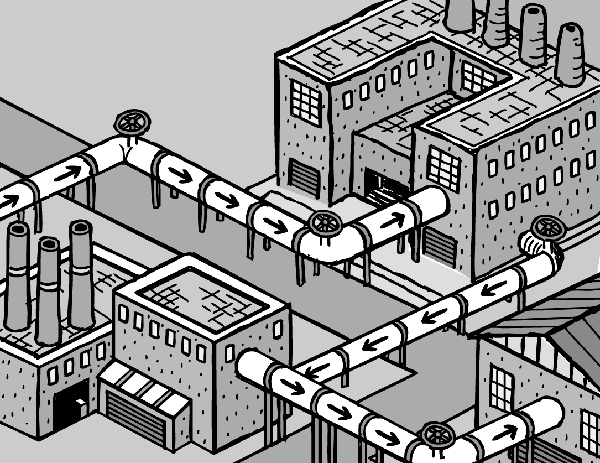 Industrial ecology is a exciting contrast to conventional industrial practices, based on wasteful linear processes. Industrial ecology aims to maximise efficiency and resource recycling in ways which resemble food webs. In nature there is no such thing as ‘waste’ by the dictionary definition of “useless or worthless material”. Instead, materials are constantly swapped and reused by organisms evolved precisely for nutrient recovery. Industrial ecology challenges us to apply the strategies of nature to the way we conduct business. One of the key points about the park is how the resource recycling partnerships occurred in a spontaneous, collaborative way. Natural ecosystems niches are filled in an opportunistic way, and Kalundborg was no different. Rather than beginning with a top-down design, Kalundborg’s recycling loops were identified and formed in a gradual, unplanned fashion. The environmental benefits of this efficiency are a nice plus, but the prime motivation behind the business’ recycling efforts were financial: it is simply more profitable to be frugal with energy and resource use. By sharing information and collaborating with their neighbours, sum total of activity in Kalundborg seems to be greater than if they were operating in isolation. Rather than heating water from ambient temperature, or ordering resources from suppliers far afield, the businesses harvest the fruit of their surroundings. As with nature, there is no such thing as ‘waste’, with the residues of old processes being used to feed new ones. The Kalundborg experiment began in 1972, and has been gradually been evolving since then. Though not a Type III system (its coal-fired power plant is clearly unsustainable in the long-run), it sets a Type II example for others to follow. Although I mostly live in a reality bubble, sometimes I step back to consider how different my comics are from everything else on the web. 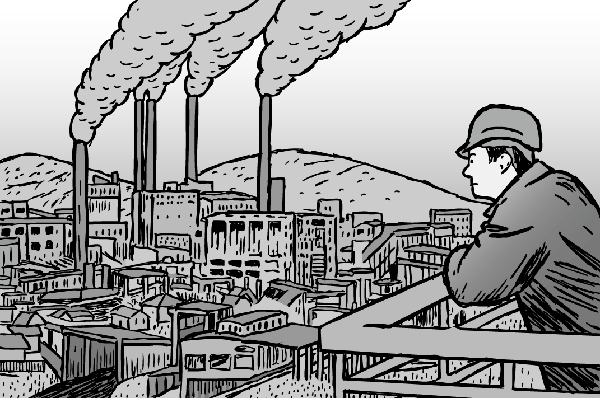 I mean, a 24 page comic comparing ecological succession with the human industrial system? I’m not exactly competing with the gag-a-day crowd of cartoonists! With Type III I wanted to transcend the nit-picking debates we have on environmental issues (bottles versus cans, hand dryers versus paper towels) and look at the big picture. The very big picture. 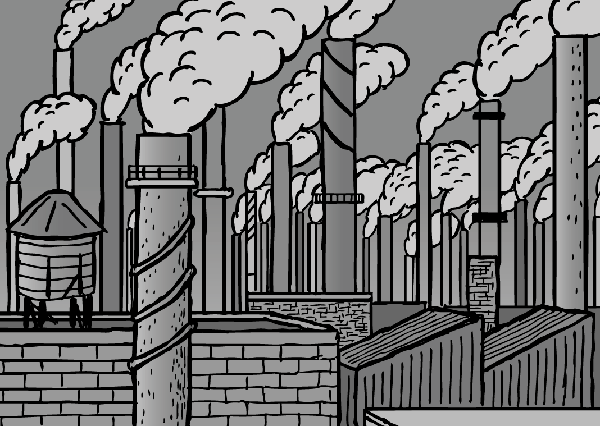 Like St Matthew Island and Supernormal Stimuli, Type III is a comic is about many topics at once. On one level it is about the real-life recovery of nature following the 1980 Mount St. Helens eruption. On another level, it is an honest look at our lifestyle; a big-picture scorecard for humanity against nature’s benchmarks of success. But on the most important level, the comic is about hope. Hope that we can work towards a Type III future. Hope from the knowledge that there are natural ecosystems which behave in the Type I and II ways (which we too-often attribute as unique failings of humans). Hope that there is room for us all in a Type III system which thrives on diversity of the weird and wonderful. As the comic states, it’s not that Type I and Type II systems are categorically ‘bad’. If that was the case, the world would never recover from disasters like Mount St. Helens. The critical point is learning that humanity’s current Type I/II strategy is unsustainable, and needs to be transformed to Type III-like harmony as soon as possible.